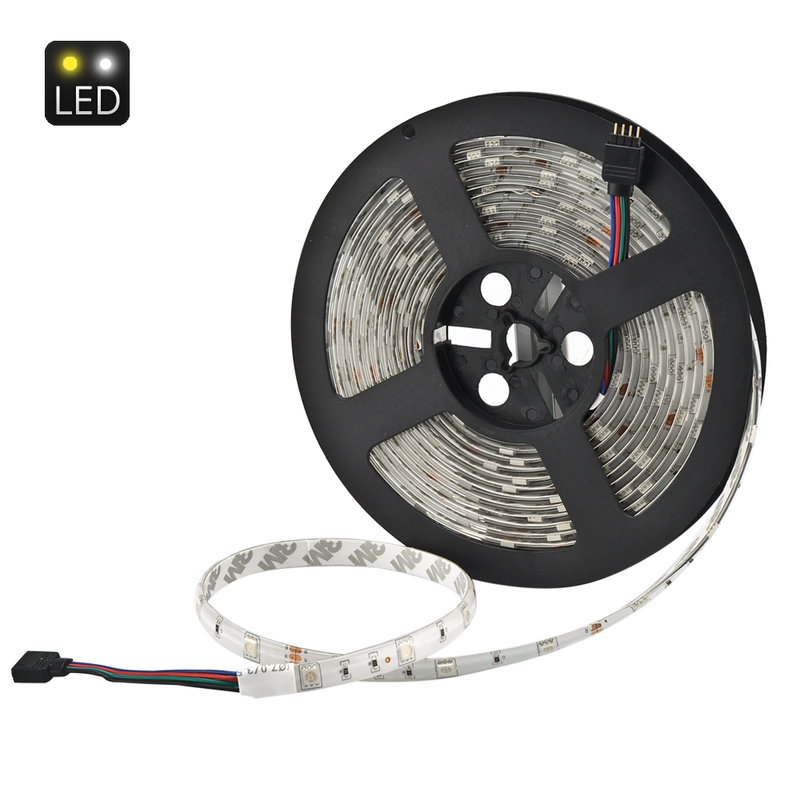 Successfully Added 5 Meter 36W RGB LED Light Strip - SMD5050, IP65, 30 LED Per Meter, 20 Key Infrared Music Remote Controller to your Shopping Cart. LED strips are cool, but there comes a moment when simply blinking just doesn't impress anymore. Try these amazing RGB (red, green blue) based LED lights that comes with a remote that can control the colors of the light or let it go autopilot to react to the sound of your favorite music. 5 Meter 150x5050 SMD RGB LED light strip with 30 LED’s per meter and an IP65 rating can be used outside or indoors and makes decorating for parties and festivities easy. These LED strips are powered with 5050 SMD (5.0mm x 5.0mm chips) that are about 3 times brighter than 3528. Bring your garden and patio to life or make a killer display in your shop window or bar with this easy to install flexible LED light strip as it’s backed with 3M sticky sides plastic and can be shaped or cut to fit wherever you want. Coming with an IR music LED controller that sits between the LED light strip and power supply you have total control over the lights. This let you change the color hues, brightness and color changing effects at the touch of a button or alternatively set the LEDs to respond to the rhythm of your music. With easy push connectors on either end you can even daisy chain several units together and these energy efficient decorative lights won’t cost you a fortune in electric bills.